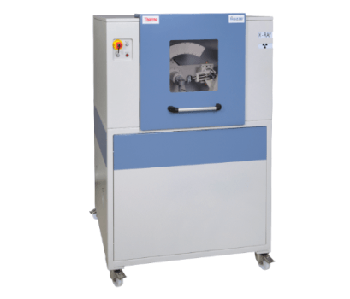 Used to promote process control laboratory efficiencies within the mining and metals industries, the Thermo ScientificTM ARLTM SMS-3500 is a turnkey laboratory workflow automation system. Users who require a more comprehensive and integrated automation solution are offered new opportunities by the automation of multiple preparation machines and spectrometers. Since the early 1990s, Thermo Scientific’s robotized spectrometers have been enhanced continuously as a result of customer experiences and feedback. 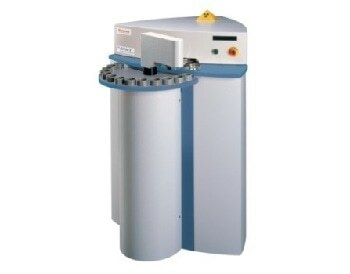 Thermo Scientific has over 700 systems installed in metals applications across the world, giving it an undisputed reputation for durability and performance. The ability to use a wide variety of products and competences, including more robust robots which deliver new automation solutions at the cutting edge of technology. The commitment to see past the imprint of stand-alone laboratory instrumentation, focusing instead on complete workflow solutions. 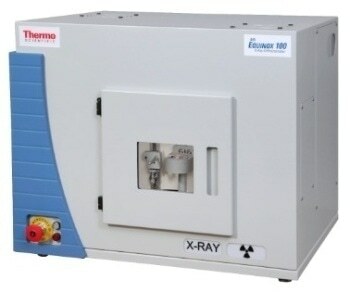 In designing and making optical emission (OES) and X-ray fluorescence (XRF) spectrometers, Thermo Scientific’s automation system is unique. The company’s competence is not just limited to one automation or analytical technique. 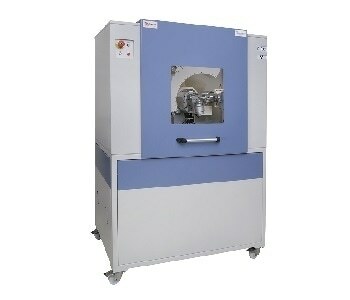 Rather, it covers entire systems delivered with sample preparation as turnkey packages. 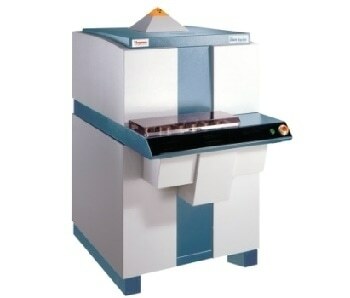 The same platform which is used for the OXSAS analytical software for XRF and OES spectrometers is the basis of the ARL SMS-3500 automation software. A unique and standardized software environment is provided by this commonality, enabling simplification with fully automated XRF and OES spectrometers. Furthermore, access to the entire range of automation user and sample tracking functions is provided by the single SMS system monitoring screen. When two preparation machines use two equivalent spectrometers, simultaneous preparation and analysis of the samples is possible, enabling for optimal sample throughput. 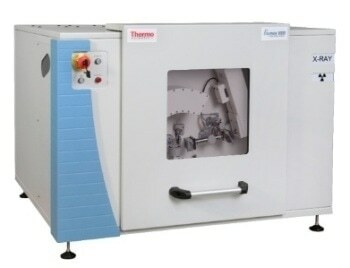 Either of the two preparation machines can prepare the samples, and either of the two spectrometers can analyze them, making sample cross transfer a standard. This ensures optimum availability 24/7 and all year around, as well as reducing the response times. When the sample needs to be measured by OES and XRF, sequential processing applies to twin OES and XRF configurations. For analytical method development and tests, each spectrometer is able to be used offline. The SMS software automatically controls the instrument’s access privileges for the operator and the robot. The SMS software is a basic software command, allowing for the switching of equipment between manual and automatic modes. The applicable CE conformity standards are adhered to in the design of the ARL SMS-3500 safety enclosure. The system is also compatible with electromagnetic norms and recommendations, as well as robotics application norms. The robot operation can be temporarily paused by a separate control box. This unlocks the access doors, allowing for manual intervention inside of the system. It is possible to then quickly resume automatic operation, without the need to restart the system. 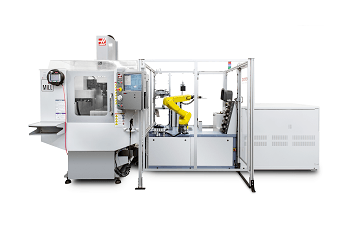 It is possible to rapidly disconnect each preparation machine or instrument without interrupting the automatic system operation. This enables quick cleaning of the OES stand, for instance. Furthermore, the spectrometers are able to slide into a different park position for manual operation over longer periods of time, or for service. It is not necessary to interrupt the SMS system; particularly as there must be no disconnection of the spectrometer’s supplies. In only a couple of minutes, the spectrometer can be slid back into the SMS and automatic operation resumes. Full laboratory automation is streamlined by the integration of separate sample preparation and analysis systems into one or more compact ARL SMS-3500 cells. It is possible to instantaneously process samples received through automated air tubes, leading to significant savings in costs and response times. Furthermore, it is possible to temporarily store these samples, and process them in order of priority. Computer-controlled operator access doors and a control box to ensure total safety of the enclosure. Color lamps indicate the system and the instrument’s statuses. Sample presence can be detected early. Waiting positions allow for the prepared samples to be temporarily stored when they are waiting to be analyzed. This further optimizes throughput. Spectrometers always deliver quality results courtesy of the comprehensive instrument monitoring procedures. Rework and production scrap is avoided. A large magazine enables as many as 90 setting-up, type standards, and control samples. It is possible to dedicate these to a specific instrument or share them between the two spectrometers. It is also possible to use sections of the magazine to temporarily store incoming samples. For the purpose of cleaning the OES stand, conditioning samples are supported. 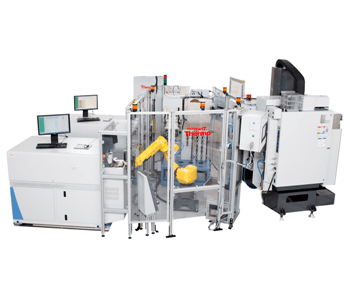 In order to avoid any bias in the prepared surface over time, standards are rotated by the robot prior to re-preparation using either of the two preparation machines. If required, standards and samples can be inverted by the inverting device prior to or post preparation. Selected samples can be filed on a chute (for example, bad samples). Standards can be introduced to, or removed from, the system courtesy of the manual introduction position. Production samples can also be introduced. Samples can be sorted and filed into eight boxes.